My initial thinking in starting this website (and then this blog) was one of promotion – to promote my work at church, my concert work, and to sell my CDs and piano music. 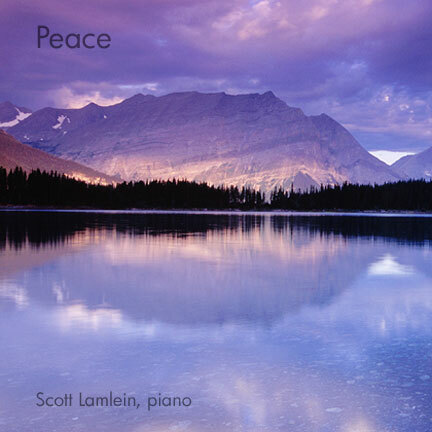 All of those except the latter happen on other sites (as linked above), so www.scottlamlein.com was to be the home of my recent piano compositions and their recordings. All that changed when I started writing this blog. One of the things I feel constantly conflicted about is the struggle between music as art and music as business. It is expected, for survival in this world, that at least 1/3 of our time is used to make the money needed to sleep 1/3 of the time and “live” during the remaining 1/3. When music is part of your vocation as well as your primary passion, these lines become very blurry. When I began my concert work in earnest six years ago, so began what felt like a never-ending quest to “turn music into cash.” Strangely, the concerts that are the most rewarding and enjoyable and “real” are the ones that either did not pay or paid very little. What’s the lesson in all this? Still not sure! However, I have learned recently that sharing my gift as a musician, both directly through the music, and indirectly through this writing, is at the center of why I do it. And so, I have decided to begin releasing several of my piano compositions and recordings without charge. A sample of my first piano composition, “Gratitude,” is below, and tomorrow I will post the full recording and sheet music for download. I’ll continue doing this weekly. Additionally, if interested parties contact me looking to own what I affectionately call “the whole pile,” I’ll be glad to make that available for free. From the start of my composing, I’ve been very aware that it is well beyond my control, something I am clearly a vessel for, so I am excited and grateful to share it. 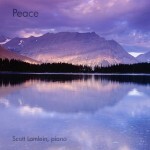 Scott's music is available at iTunes and Amazon. © Copyright 2019, Scott Lamlein, concert organist. All rights reserved.